JAC Result 2019: Below are the latest results published by JAC - Jharkhand Academic Council, Ranchi / jacresultonline.com. The recent result announced by the organization is Jharkhand Board Class 8 Result 2019. JAC Jharkhand Board Class 8 Result 2019: Jharkhand Academic Council, Ranchi has announced the Result on 16 Apr 2019 for the exam . 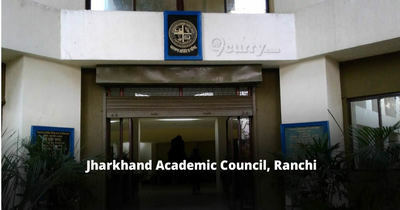 JAC Jharkhand Board JAC Class 9 Result 2019: Jharkhand Academic Council, Ranchi has announced the Result on 11 Apr 2019 for Jharkhand Academic Council Jharkhand Board JAC Class 9 Exam 2019 . JAC Jharkhand Board Compartment Result 2018: Jharkhand Academic Council, Ranchi has announced the Result on 10 Sep 2018 for the exam . JAC Class 12th Arts Result 2018: Jharkhand Academic Council, Ranchi has announced the Result on 27 Jun 2018 for Class 12th Arts Exam 2018 . Jharkhand Board JAC 10 High School Result 2018: Jharkhand Board has announced the Result on 12 Jun 2018 for JAC 10 High School Exam 2018. Jharkhand Board Class 12th Result 2018: Jharkhand Academic Council, Ranchi has announced the Result today on 07 Jun 2018 for Class 12th Exam 2018.